I was pondering what to do about a mast. I thought it would be cool to attempt to build a hollow birdsmouth mast. It also seemed like it might be a bit of a project to build one. 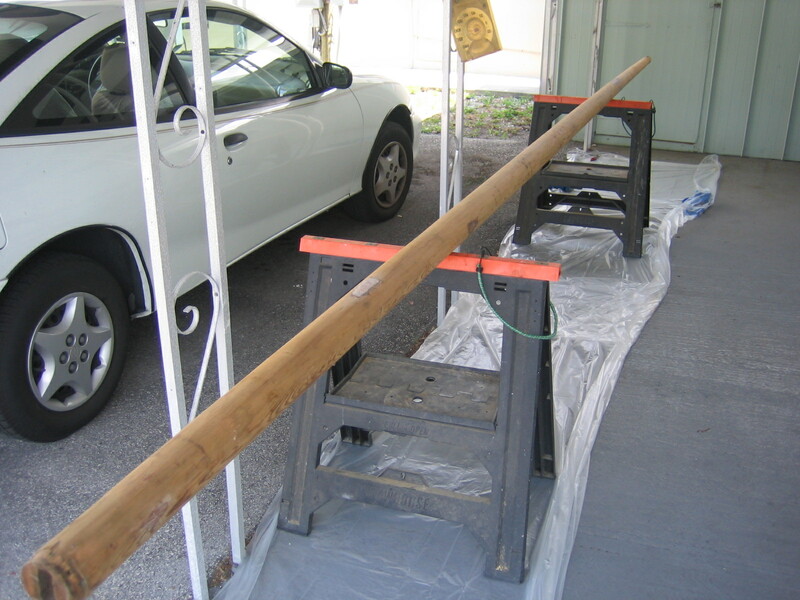 While I was pondering this I searched on Craigslist and found a hollow wooden mast offered for free. I'm in the state of FL and the mast was located in IL. Fantastically enough my mother was visiting IL and was near the mast. I got my ma to pick up the mast and put it on the roof rack of her SUV and bring it back to FL when she returned from visiting. I figure with this kind of luck I should be able to win the lotto. 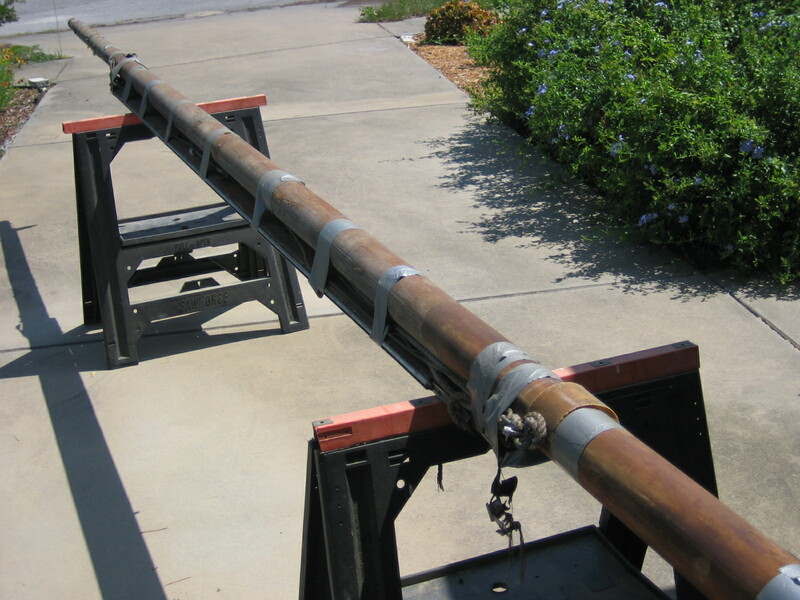 So here's a pic of the mast packaged as it arrived with the boom and stay wires duct taped on. The mast is about nineteen feet long and about four inches across at the base. I removed the sail track and stay wires that were attached to it and sanded it down. It had some old varnish on it which had mostly flaked off so getting down to bare wood wasn't much of a problem. The original Bolger plan for this boat shows a sloop rig with a mast about this long so I figure this mast could be fine for this boat. After I get my junk rig sail built I'll see if I can reduce the length of the mast. 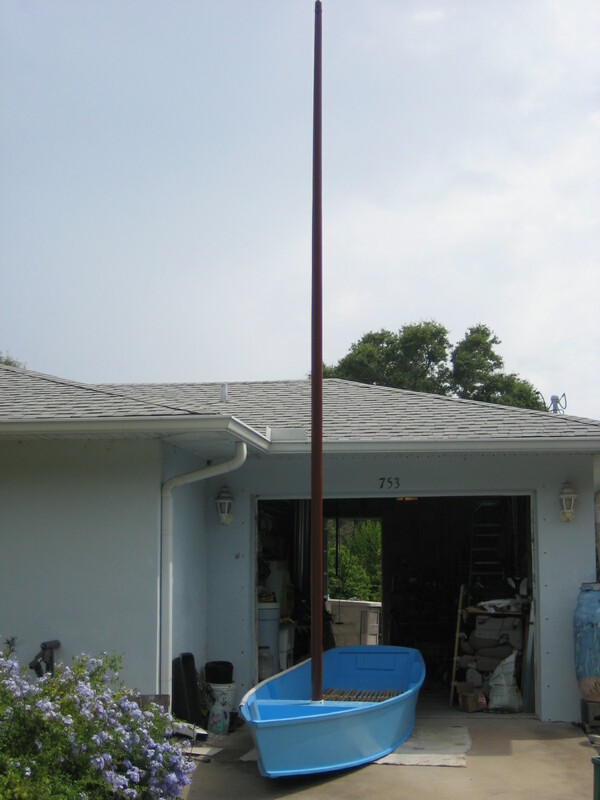 Here's a pic of the painted mast. I went with a chocolate brown color which matches the color of the dragon head I'm going to mount to the bow. Going to use the same color on the yard and battens. 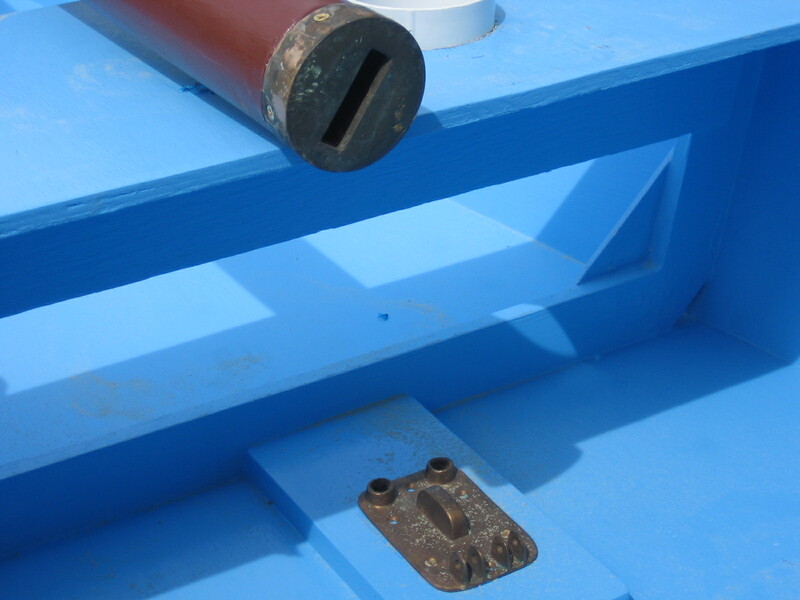 This pic shows two pieces of brass hardware that were also given to me with the mast. 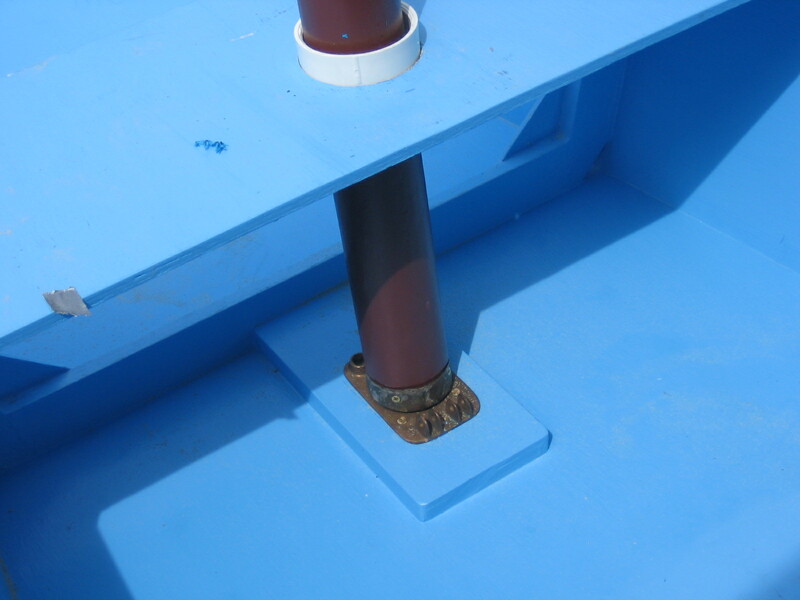 The brass piece attached to the mast base fits onto the brass mast step that is attached to the boat. This pic shows the mast in place. Stepping the mast by myself, that is putting the mast into the boat, is no problem due to the light weight of the mast. I'm very happy that this mast is easy to handle. I'm going to try to get away with out using stay wires on the mast. We'll see how it goes. Here's a pic from a distance of the boat with mast. Shiver me timbers!